Mallastettu kaura. Voidaan käyttää useimpiin oluihin antamaan pehmeyttä ja täyteläisyyttä. Tasapainottaa voimakkaasti humaloitujen oluiden katkeruutta. Oluttyypit: Oatmeal Stout ja Porter, Pale Ale, East Coast -tyyliset IPAt, Double IPA Juice Bomb. Aromi: Kaurainen ja amumuromainen maku. Englanninkielinen tuotekuvaus: Silky smooth fullness – Juice Bomb Simpsons Malted Oats have large, thick husks which helps with run off. Once you crack it open, the creaminess of the oats releases a silky smoothness which imparts a sumptuous velvety texture to your beer. This fullness allows it to take as many hops as you can throw at it for a juice bomb, providing balance. In more traditional usage, Malted Oats provide the back bone of creaminess in Oatmeal Stouts and Porters, smoothing the astringency that may result from the heavy use of roasted grains and adding a complexity of flavour. 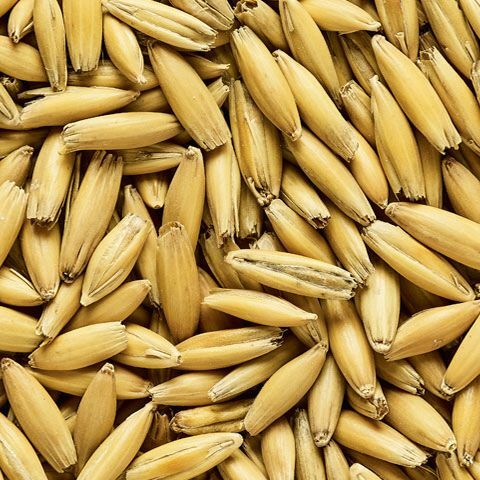 Malted Oats is a hugely versatile product that can be added to any beer style to impart a creamy, velvety smooth mouthfeel.